Kissimmee's Best Carpet Cleaning is your go-to, local, family-owned carpet cleaning company in Central Florida! Our goal is to offer you the best professional carpet care and upholstery in Kissimmee and all surrounding areas, at a price and quality that can't be beat! We are dedicated to providing you with the highest standard of service - that is our commitment to you, our valued customer and neighbor. Lush, clean carpets are a wonderful thing to have in your home. Over time, however, they can become dull, dingy, dirty, and just plain gross. Here in Florida especially, our carpets can take quite the beating. Large amounts of sand and dirt can quickly accumulate and really put a damper on the look and feel of our beautiful carpets. That, along with our humid climate, can quickly cause our once pristine carpets to lose their soft, cozy feel. We want to help rid your home of dirt, allergens, and funky smells that are hiding in your carpet! Call us now at (407) 871-6730 for a free quote, and get an appointment set up with our carpet washers today! Tired of looking for a quality, friendly, professional company that will get the job done right?? Well, look no further - you’ve found some of the most experienced carpet and upholstery cleaners in Central Florida. We offer cheap carpet cleaning services - but never fear! Our work is high quality, guaranteed! Have you got a problem with your carpet, fabric, or upholstery? We can help! Your tile scum will run, grout will sparkle, and your carpets will be the cleanest in the neighborhood. Scrubbing, washing, cleansing, vacuuming, steam cleaning, repairing - if it has to do with your floors, we’ve got you covered. No job is too big or too small! From studio apartments to large office buildings, we are ready to tackle it! Call Us Now! We'd be happy to discuss your carpet cleaning needs. 1. Your Satisfaction is Our #1 Priority - we strive to make your experience seamless and pleasant. We want you to be happy with the cleanest carpets around! 2. Industry Experts - we’ve been around the flooring block for a long time. You can trust that we have years of experience with carpet, tile, grout, upholstery, fabric, stains...you name it, we have encountered it, and have the solution for you. 3. Honesty is The Best Policy - The price you are quoted is the price you will get. No need to worry about our carpet cleaning technicians selling you on “other services”. 5. Timing is Important - we value our relationship with you. We arrive on time and do our work in a timely manner. ​6. Healthier Environment - Florida is a beautiful place to live, but with it comes heat, humidity, mold, mildew, dirt, sand, more sand, and loads of allergens. Removing the allergens, bacteria, and dirt from your carpet ensures a healthier home or office for you and your loved ones (or coworkers). 7. Reputation - you want the best, we get that! Rest assured that by choosing us, you are choosing the top carpet cleaners in our community. Get My Free Estimate Today! Give us a call today at (407) 871-6730. We are ready to help you with all of your carpet and upholstery cleaning needs! Ready For Some Random Facts About Your Carpet? 1. The dreaded stomach bug virus - aka the Norovirus - can survive on your carpet for up to a month! 2. Live by the 10-second rule? You may not want to with carpet in your house...bacteria can live 3 to 4 weeks in that cozy habitat. 3. Most people’s carpets are dirtier than toilet seats AND city streets!! Yuck! 4. Want to make your carpet sparkle in between cleanings? Sprinkle some salt on it, let it soak in for about an hour, and then vacuum it up. Voila! 5. Did your child just spill his juice all over your carpet? Grab some club soda, pour it on the spot, let it set for a few seconds, and then wipe it up. 6. Carpets hold on to EVERYTHING: dust, dust mites, hair, dead skin cells, pet hair, pet urine, dirt, insect feces, mold, bacteria, allergens….wanna just stop here? 7. All carpets should be professionally cleaned a minimum of every 12 to 18 months. ​8. When properly maintained and professionally cleaned, your carpet may actually improve the quality of air in your home because it will hold dust and other allergens. Improper cleaning, however, will have the opposite effect, and many allergies will flare up. What Can You Expect From a Professional Carpet Cleaner? - A quote (not an estimate) will be given to you, the customer. This quote will be mutually agreed upon before any work is done. - The professional carpet cleaner will give you a guarantee of their work. - Your carpet will be pre-vacuumed, if you have not done that prior to their arrival. - The cleaner will utilize products that are environmentally friendly. These products are also safe for children and your pets. - If you need furniture moved, most companies will move light furniture free of charge. 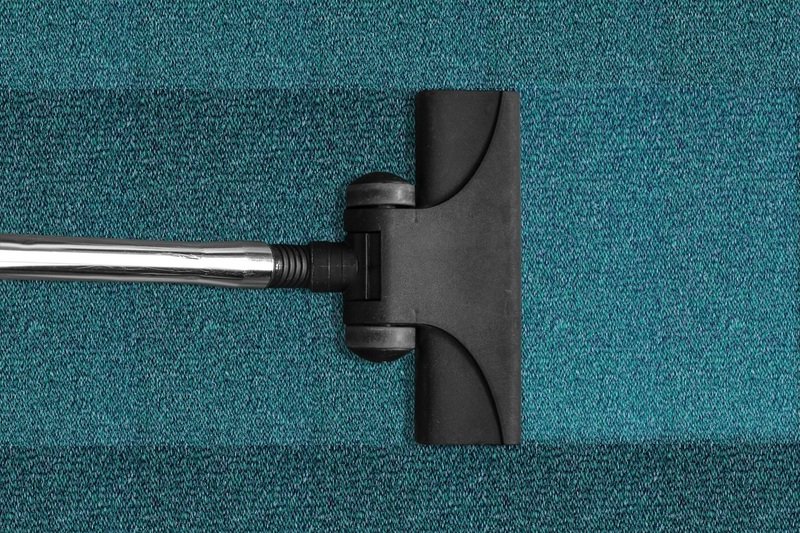 If heavier lifting is required, the carpet cleaning professional will advise you on whether or not that can be done, and if there will be an extra fee. - Truck mounted cleaning uses "hot water extraction" - the preferred and time-tested method of deep cleaning you carpets. The water is heated inside of the machine in the van, so your hot water is not used at all. - More powerful than portable cleaning units. This power is harnessed from the van, whereas the portable cleaners will use the power from your home. This saves on electric costs for you, the customer.